Apostle Leon R. Gooden Jr. is a Forerunner for GOD, a man who strives after God’s own heart, who has been called by God to preach, prophesy and teach the gospel of Jesus Christ with a strong apostolic prophetic anointing with manifestations of healings, miracles and deliverance. God has called him with a Davidic covenant to repair the breaches and raise up the ruins and rebuild on a sure foundation of the Apostles and Prophets. Apostle Gooden was consecrated into the office of Apostle on 20 February 2015, by Chief Apostle Alvin McCullough of Mana from Heaven Ministries International. Apostle Gooden was confirmed as an Apostle Elect by Chief Apostle Alvin McCullough of Mana from Heaven Ministries International on 3 October 2014. 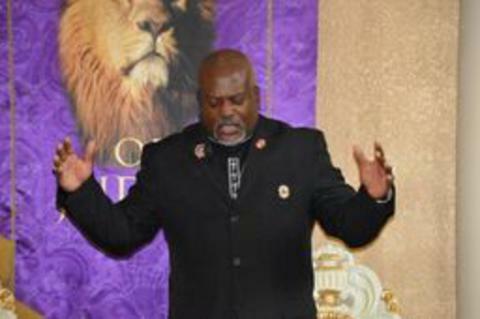 Apostle Gooden was confirmed and installed as Pastor of Kingdom Builders Christian Ministries in October 2010, by his then spiritual father Bishop L.D. Skinner Sr. Apostle Gooden was confirmed and set into the Office of the Prophet in January 2010 by the Apostles presbytery. Apostle Gooden was ordained and licensed a Elder in the Lord’s Church, by his then spiritual father Bishop L. D. Skinner Sr. of the Bread of Life Christian Church in Columbus, Georgia on 15 September, 2005. Apostle Gooden was licensed as a minister in the Lord's Church in 2003, by his then mentor and spiritual father, Bishop L.D. Skinner Sr. of the Bread of Life Christian Church in Columbus Georgia. Apostle Gooden is a native of Pensacola Florida and has been used in several ministry assignments for God in various locations and positions throughout the church, as a Youth Director, Christian Education Department Instructor, Transportation Department Director, Men’s Ministry President, Prison Ministry Minister, Spiritual Gifts Instructor, Pastor's Aide Instructor, Pastoral Care Director, Armor Bearer and Instructor, Security Director, Deacon Training Instructor, Adjutant to the Bishop and Prophetic Presbytery. Apostle Gooden has been sent to minister on foreign soil in Nairoba Kenya Africa, Kitengela Africa and Machakos Africa with powerful manifestations of prophetic declarations, healings and deliverance under the power of the Holy Ghost. GOD has birthed (RHAM) Right Hand Apostolic Ministries out of the loins of Apostle Gooden, an Apostolic Network of five-fold ministers and Church's in February 2015. Apostle Gooden retired from the U.S. Army on October 1, 2005 after faithfully serving our country in peacetime and (combat) war time for over 21 years. He is a decorated combat airborne paratrooper who has the never give up spirit that carries over into his ministry. Apostle Gooden has a degree in Business Administration from Fayetteville Tech Community College, a degree in Biblical Studies from Ames International School of Ministry and a Doctorate of Divinity from St. Thomas Christian University in Jacksonville Florida. Apostle Gooden also is a graduate from the Adjutant Academy/Administrator Academy at the Joint College of Bishops in Aurora, Ohio. Apostle Gooden has been called upon to minister at Preach the Word Worldwide Network headquartered out of Tallahassee Florida. 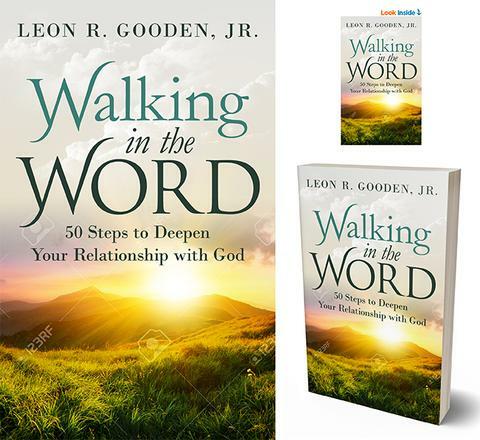 He is also the author of WALKING IN THE WORD, a powerful book to help you walk with God everyday. Apostle Gooden has been married to the lovely Pastor Jennifer Gooden for over 25 blessed years. They have 3 lovely children, Damien, Leon III and India and two grandchildren. His motto is “Do all that you can for as many people as you can, whenever you can and wherever you can”. 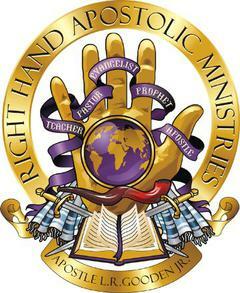 Right Hand Apostolic Ministries (R.H.A.M) is a network to connect pastors, teachers, evangelists, prophets and apostles in fellowship for wisdom and resources in order that each member can function more strategically, and combine their efforts globally, to effectively accelerate the advancement of the Kingdom of God into the seven mountains of influence (media, arts and entertainment, business, religion, family, government, education). THE LORD SHOWED ME IN A VISION FOR 2011 THAT HE WOULD PROVIDE HIS PEOPLE WITH "DIVINE INTERVENTION HE TOLD ME IT WAS A FAVOR FROM GOD. I ASKED HIM HOW WOULD THIS WORK IN 2011 THE YEAR OF DISORDER (11 MEANS IMPERFECTION, DISORDER, CONFUSION) AND HE CLEARLY SPOKE TO ME "Not by might, not by power, but my Spirit says the Lord Almighty" (Zechariah 4:6). "DIVINE INTERVENTION A FAVOR FROM GOD"
BECAUSE I TOOK HIM AT HIS WORD, WE ARE EXCITED TO NOTIFY THE PUBLIC THAT OUR BORDERS HAVE BEEN ENLARGED. STARTING 2 MARCH 2011 WE WILL BE HAVING SERVICES IN OUR NEW FACILITY AT 7280 PLANTATION ROAD SUITES C AND D BEHIND UNIVERSITY MALL. COME WORSHIP A REAL GOD. "ANOTHER DIVINE INTERVENTION A FAVOR FROM GOD"
"AND ANOTHER DIVINE INTERVENTION A FAVOR FROM GOD"
As I preached the Word of GOD "It's Time To Take Possession and Occupy on 23 Oct 11, the LORD spoke to me and said occupy where you're at. On 25 Oct 11, we made a bid for a third suite, and (3) day's later we occupied the suite, GLORY to GOD for the great things he have done. I have been ministering on the Principles of Sowing and Reaping for the 2nd month now and testimony after testimony have been released on the goodness of the LORD for our Church and individual lives. Matthew 10:41 says He that receiveth a prophet in the name of a prophet shall receive a prophet's reward; and he that receiveth a righteous man in the name of a righteous man shall receive a righteous man's reward. To GOD Be The Glory! "ANOTHER DIVINE INTERVENTION FROM GOD"
Gen. 50:20 "But as for you, ye thought evil against me; but GOD meant it unto good, to bring to pass, as it is this day, to save much people alive." We are excited to announce the occupation of a 4th Suite for the building of the Kingdom of Heaven on earth. The enemy wanted to have us lose all 3 that we had instead we will add another one for pain and suffering. Touch not my anointed and do my Prophets no harm! 4. Land was returned to the original occupants who owned it at the beginning of the JUBILEE period. JUBILEE is a time for GOD to restore, replenish and rebuild in areas which only He can, a time for GOD's release, redemption, renewal, restoration, reconciliation and revenge. GOD is going to reward His children who have persevered through pain and hurt, who been lied on, spit on, ripped and betrayed yet continued to preach and teach the unadulterated WORD of GOD. This is for you - It's JUBILEE! "WORD OF THE LORD for 2012" Do not believe the false prophets who say the world will end on December 21, 2012, no man knows the day or hour when My Son will return for His bride. Did I not already tell you when the end would be near. Because of the false prophets speaking in My name lies, I will cause them to leave their wealth to My just, the faithful remnant. Did I not tell you already that the wealth of the unjust is laid up for the just. This is the year that a wealth transfer will take place for My people, no more stretching to make ends meet, to make do. I'm putting you in a place of OCCUPATION and ENLARGEMENT - get ready, sound the alarm and possess the land, says the Lord thy GOD. "NOT LAGGING IN DILIGENCE, FERVENT IN THE SPIRIT, SERVING THE LORD"
GOD is shifting His people from a church minded agenda to a kingdom minded agenda. Churches who operate out of a church mindset will not survive in 2013. People who operate out of a church mindset will not survive either in 2013, only those who recognize that GOD is preparing His people to move after shifting from a church mindset to a kingdom mindset in order to possess the tools of Decreeing and Declaring in 2013. 2013 will be a year of chaos unlike anything this generation has witnessed with the anti-christ agenda being forced upon the world in deceptive fashion but, for those who shift from what can the church do for me, to what can I do for the kingdom with my time, talent and treasures fruit will continue to abound. Next, we need to move into a mindset of Matt. 6:33, seeking ye first the kingdom of God, and His righteousness; and all these things shall be added unto you - food, clothing, shelter, transportation and yes entrepreneurship, working for Almighty GOD. There will be many opportunities for creative God ideas to bring forth wealth to God's people. We must move in those opportunities in 2013. Finally, we must possess what GOD has already said is ours, in the latter verse of Pro. 13:22 it declares, "the wealth of the sinner is laid up for the just". It's time to take possession of that wealth, in Jesus name. Prophesy given to prophet gooden from the Holy Spirit on 11 December 2012 during intercessory prayer service. Isaiah 61:7. Amplified Bible (AMP)...7 Instead of your [former] shame you shall have a twofold recompense; instead of dishonor and reproach [your people] shall rejoice in their portion. Therefore in their land they shall possess double [what they had forfeited]; everlasting joy shall be theirs. In 2014 it's going to be the year of DOUBLE, the seven years of famine is over and we're heading into our seven years of plenty. So, a true Christian never stays static. We keep growing, advancing forward, and becoming stronger every day. As we enter into 2016, we want to thank the entire KBCM body for allowing for us to sheppherd you, we take pastoring very seriously. We are in the year of Jubilee therefore the saints of God should rejoice in the Lord. As we journey into 2016 our theme is fitting for the season that we are entering into. GIVING OUR BEST...TRUSTING GOD FOR THE REST! On behalf of Apostle & Pastor Gooden we pray the blessing of the Lord rest heavily upon you in 2016. As we enter into 2017, we would like to thank the entire KBCMI Church body for allowing for us to shepherd you for another year. We are now entering into a year of COMPLETIONS, in the Church, in our homes, on our jobs as well as in our personal lives. We will fulfill our theme THE YEAR OF COMPLETIONS! Again on behalf of Apostle & Executive Pastor Gooden we pray the blessings of the Lord rest heavily upon you all in 2017. Again on behalf of Apostle & Executive Pastor Gooden we pray the blessings of the Lord rest heavily upon you all in 2018 and 2019..